At Studio INTEGRATE design processes are informed through systematic research. Considering the human sense of beauty and comfort as the most crucial aspect of design, we try to synthesize spatial quality, material performance, and relationship of the design with its context, culture and the environment. Our design method necessitates knowledge in a range of fields. Obtaining such expertise requires a long-term investigation in material, geometry and math, as well as environmental research. This paradigm forms our research topics, which are individually pursued in academia and practice. When working on projects, we identify the relevance of each topic and attempt to establish an integrated bond between them from the early stages of design. 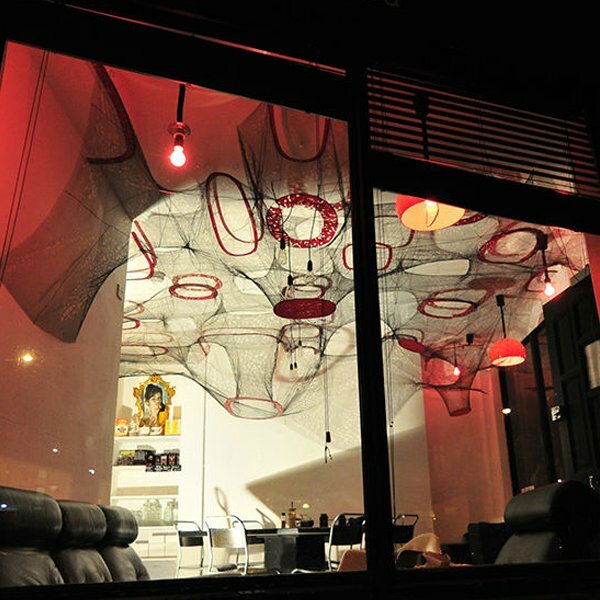 Projects in our studio can be characterized as buildings, installations, product design, and academic workshops. These are all interrelated and informed from the overall interdisciplinary experimental agenda of our studio. Through product design and small-scale installations we are provided with the opportunity to test our ideas, realize them and receive feedback before applying them on buildings. 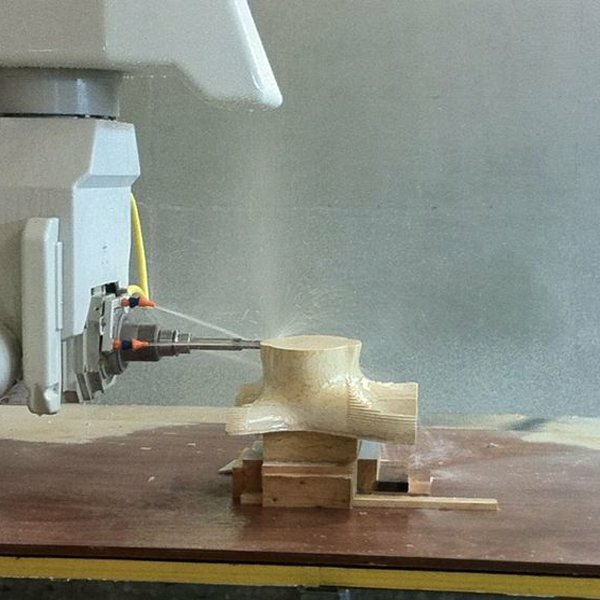 In products and furniture, we aim to experiment with digital design and fabrication techniques, testing different materials. This assists in the understanding of geometrical principals of historical art and architecture, enabling us to evolve them further. When working on an architectural scale, we have to consider a multi-aspect design criteria. This constitutes a culmination of the properties explored in our products and installations, including programmatic and site specifications. 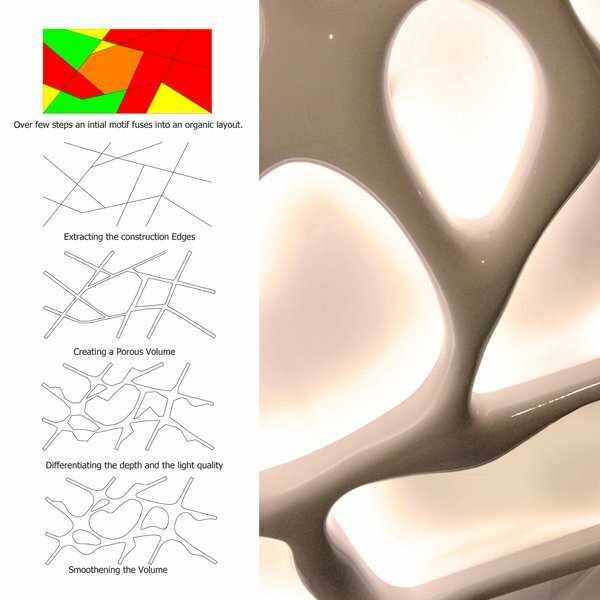 Here cultural aspects, urban and environmental challenges come to the forefront and integrate with the established mathematical and material principals that generate the form of the building. Here I have explained how we lead our design projects through experiments in the following fields. The ability to put our own research findings into action through various projects and products is an exciting experience, as every project introduces unanticipated challenges that enhance and test our problem solving abilities. Hence, one of the studios key interests involves the exploration of geometry and math. We use mathematics to identify elegant and simple solutions for complex queries. As Iranian born architects and designers, we are particularly interested in exploring the complexity of Middle Eastern art, architecture and culture by thoroughly understanding the underlying mathematical principals behind them. Islamic art and architecture, predominantly that of Iran, is largely characterized by complex geometries in patterns, ornaments and structures. Most of these patterns and geometries can be described as sets of instructions. These instructions can be interpreted as their DNA, whereby each of the steps as their Gene. Consequently, through changing the order of the genes, modifying the magnitude of their impacts or duplicating them to add extra layers of information, novel artifacts are discovered. We anticipate these artifacts to untap novel objects and spaces, which are simultaneously rooted culturally. 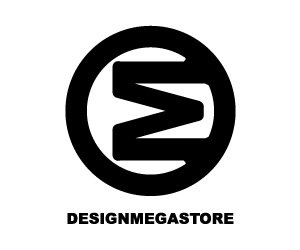 Therefore to fulfill this task, our design method necessitates a shift within the conventional design paradigm and utilizes contemporary modes of design and fabrication. Our research on the redevelopment of Islamic geometries began several years ago, as a result of our discussions on extending the thresholds of Islamic geometries into contemporary boundaries. This interest is also continued in the book, Conversation with the Young Architect, and in the Architectural Design Journal (AD) entitled IRAN: Past, Present and Future. This examination started by realizing the potentials that mathematics behind Islamic geometries present. Peter J.Lu, a PhD researcher from Harvard, found that by 1200 C.E. a conceptual breakthrough occurred in which girih patterns were reconceived as tessellations of a special set of equilateral polygons (girih tiles) decorated with lines. These tiles enabled the creation of increasingly complex periodic girih patterns, and by the 15th century, the tessellation approach was combined with self-similar transformations to construct nearly perfect quasi-crystalline Penrose patterns, five centuries before their discovery in the West. This was a starting point for studying the underlying rules of Islamic geometries and readapting them to doubly curved surfaces and complex volumes, seeking novel structural, spatial and environmental opportunities. Since then we have designed many projects, in products and architecture, in which we have attempted to push these boundaries forward via contemporary modes of design and fabrication. Some of which are explained below. 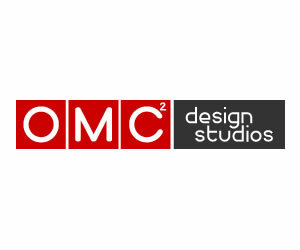 GeMo (Genetically Modified) is a mass customized series of vases that are generated using symmetrical multi-sided polygons, deriving from one of the fundamental components of Islamic art. The same geometries of existing typologies are used to create the form of each vase; however they are differentiated by the orders of combination and duplication. This method of formulated geometry retains its cultural roots, yet enables us to achieve novel geometric expressions. 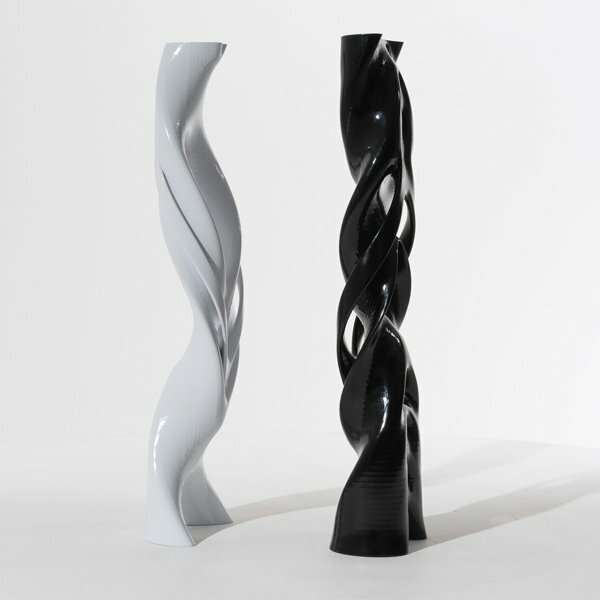 GeMo is realized by 3D printing techniques and embodies the potential of what 3D-printed fabrication is truly offering to contemporary design culture. This technique allows for the creation of a wide range of over 400 variations that are rarely possible to be produced by any other techniques. 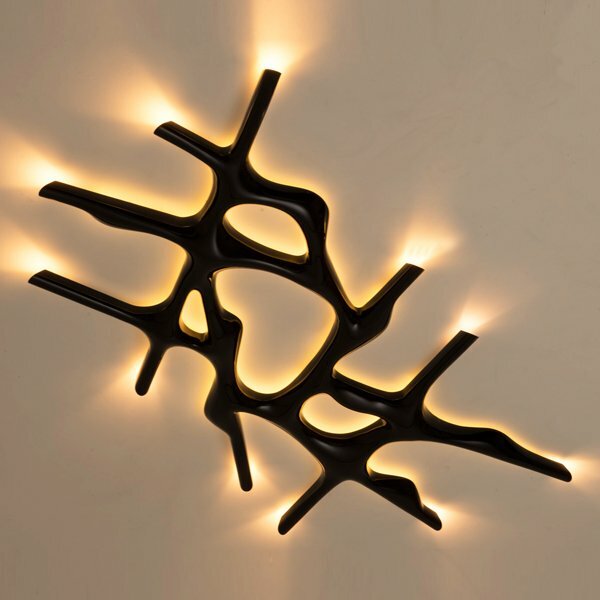 They are fabricated in materials such as stainless steel, painted resin or Alumide. 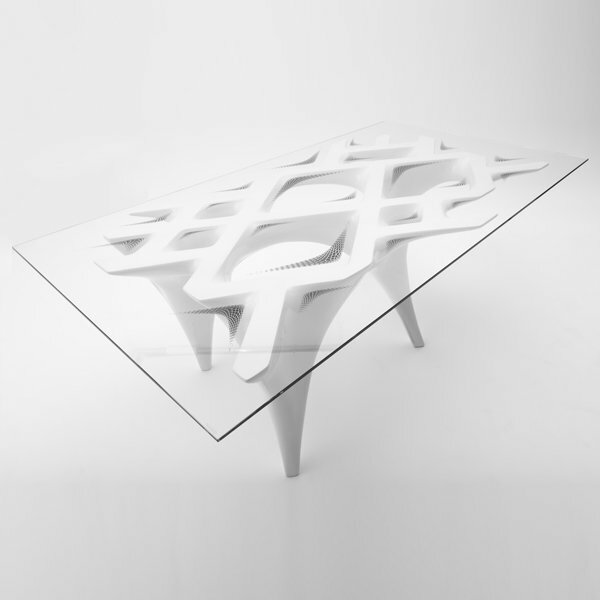 FLUX table obtains its complex pattern and 3D form from a basic geometry called Toranj, which is a mathematical pattern used in Iranian architecture. The strictly geometrical pattern at the top surface fuses to the bottom layer through a series of multi-directional arches. The legs of the table emerge at the convergence points of the base pattern and stretch towards the outside to provide the balance. The pattern on the surface is the extension of the base geometry of the table and establishes a bond between the two materials. The deFUSE light has been developed with a similar logic. 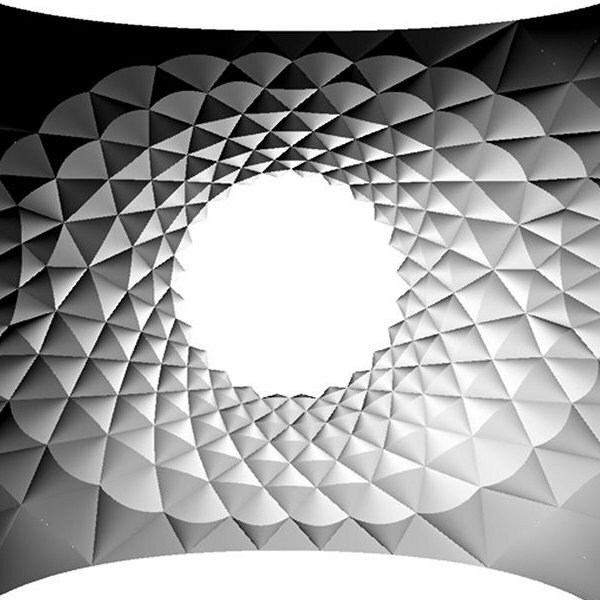 It is evolved from the base geometries of the Penrose pattern. These base modules are re-arranged, re-scaled and de-formed on a rectangular grid. The grid is then defused into a smooth geometry to leave a gentle light and visual affect in the room while having a strong presence. The differentiated sizes of void add a subtle dynamism to the effect due to the differentiated light intensity. The slim design of deFUSE is particularly devised for situations where the light has to have a strong presence without blocking other artefacts and artworks within the room. They are both fabricated with CNC machine and the final material is very light. 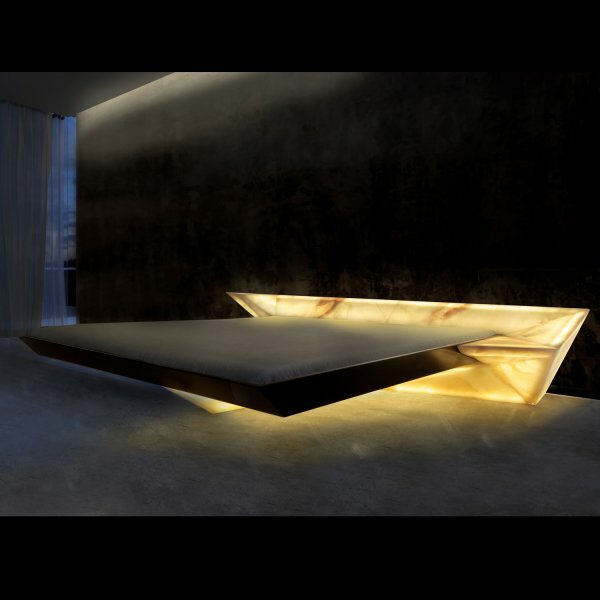 Magma bed and Introvert light are experiments with translucent stone, produced in an advanced stone factory in Italy. The morphology of magma is comprised of a series of octa and tetrahedrons that are commonly found in structures of vernacular Iranian art and architecture. 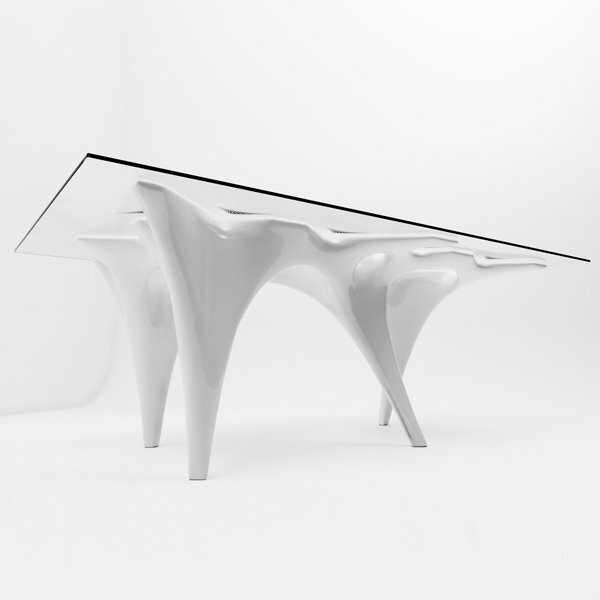 Its morphology creates a smooth transition between parts of its body, such as the asymmetrical side tables, backside panel, and understructure. It is designed by re-ordering and re-scaling base tetra and octa hedrons. The bed frame sits on a T-shape structure to assure stability. It weighs around 300 kg and can be entirely illuminated. Geometry of Magma and light illumination from its body create floating sensation which challenges the perception of a stone as a heavy material. The scale, form and weight of Magma required a close collaboration with engineers and the manufacturers to obtain the premise of this project. One of the early projects in which we explored this process was for the Carpet Trade Centre. It was a competition entry, which was awarded the 3rd prizewinner. During the Carpet Trade Centre we were studying and experimenting on transitions of patterns into different forms of geometry to modulate the spatial and lighting conditions. The project presented a fantastic opportunity to put this into practice. The envelope was formed the redevelopment of a motif in Persian carpets into different densities to modulate views, lighting conditions, and interior quality. The program of the project was split into two main sections, generating a public ramp-platform leading to the exhibition halls that were located at the top volume. Spectators were given the opportunity to see the volume from various angles in order to experience different spatial conditions while walking through or under different densities and porosities of the developed geometry. 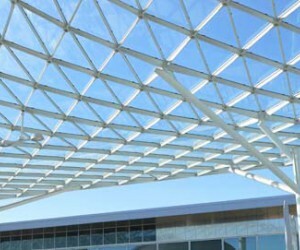 The roof was tilted toward the motorway, allowing the geometry to be visible from every angle. 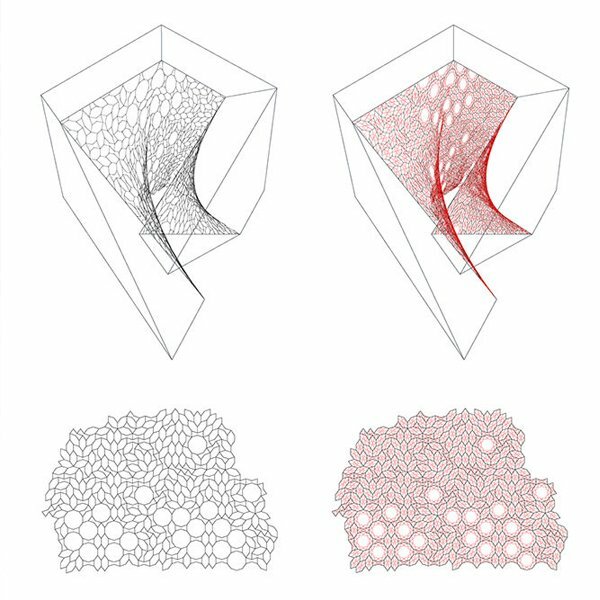 Thereafter, when we had reached the stage in the research where we could apply quasi-Crystalline Penrose geometry on complex doubly curved surfaces using only few base modules, the Benetton competition was designed. This development in our research assisted in simplifying the fabrication logic of the complex central courtyard, which was a response to the climate of Tehran. Here, once again we synthesized environmental studies with mathematical knowledge to respond to a given brief in a dense urban environment. Material research is one of the most important fields of interest in our studio. So far we have experimented with various materials such as carbon reinforced concrete, marble, wood, pneumatics, Hi-Mac, dense foam and tensile structures such as draping fabrics and cable nets. In almost every project across different scales our explorations with materials through novel ways of design and fabrication is visible. Our material studies usually start via rigorous digital or physical small-scale experiments. Once we understand the behavior of material in small scales, experiments are introduced to full-scale products and installations to test finishing quality, connection details, structural and environmental performance. 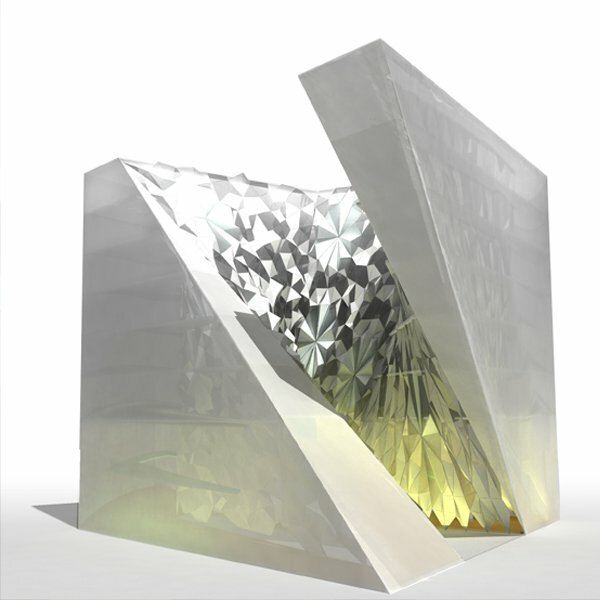 In addition, the spatial quality generated via different material arrangements is carefully studied, upon which when the time is right, we attempt its application on full-scale buildings. 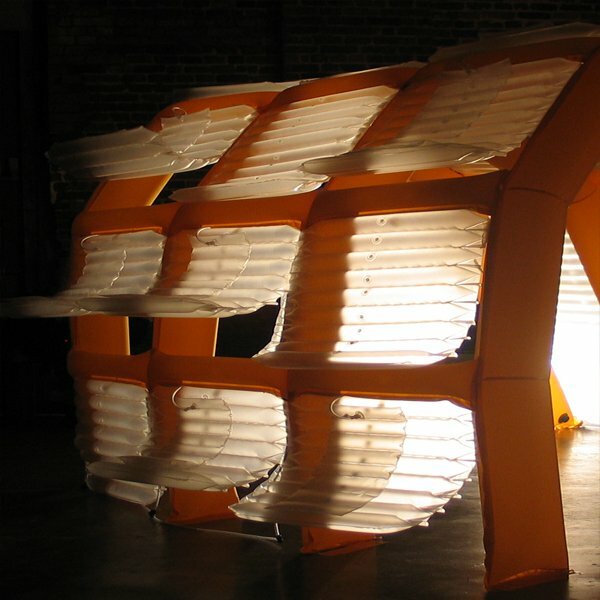 In Installations we are able to carry out context specific design experiments. They allow us to test embedded intelligence, material and environmental behavior in context and test fabrication logic before applying them on larger projects. Inevitably, through explaining the products in the previous section we have touched upon some of our material experimentations and production. Here it is evident how installations such as Adaptive Pneumatics and Inverscape have provided the imperial knowledge of projects, such as Saba Naft. Ultimately, we find it very difficult to implement an idea on a building without testing it in an installation. As an example, Adaptive Pneumatics started with extensive physical experiments that led us to a good understanding of the circumstances under which the material works, namely as a self-supporting structure or an adaptive cell. Through the right material arrangement we achieved a self-supporting system, which was capable of reacting to the immediate environmental stimuli and allowed for natural ventilation. A full-scale prototype was tested for London Design Festival to test the self-standing capacity and its performance before applying it to a building. This project later won an honorable mention for the international sustainable award. Benefits of using pneumatics came to the forefront while designing the Saba Naft complex. 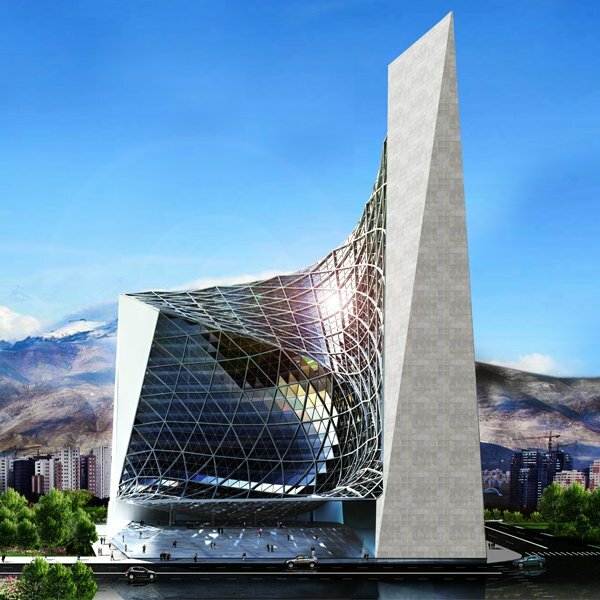 Its lightweight and highly differentiable geometrical capacity make the construction of a complex building, in a seismic zone, feasible. 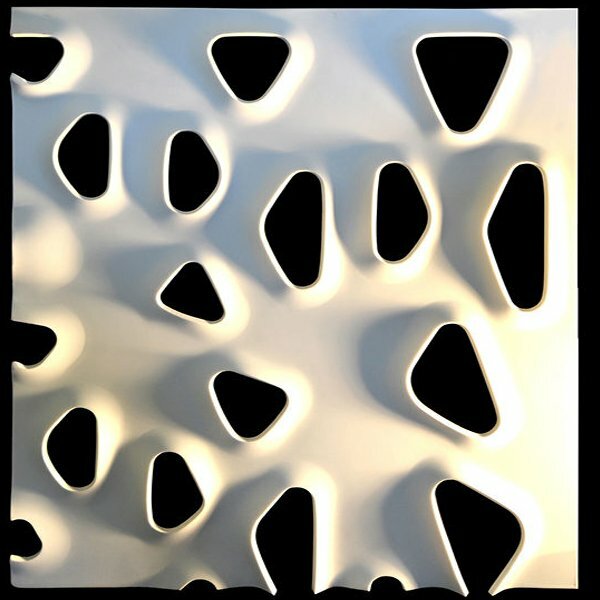 Its environmental potentials to control solar gain and insulation facilitated the creation of a climatic skin in Tehran. 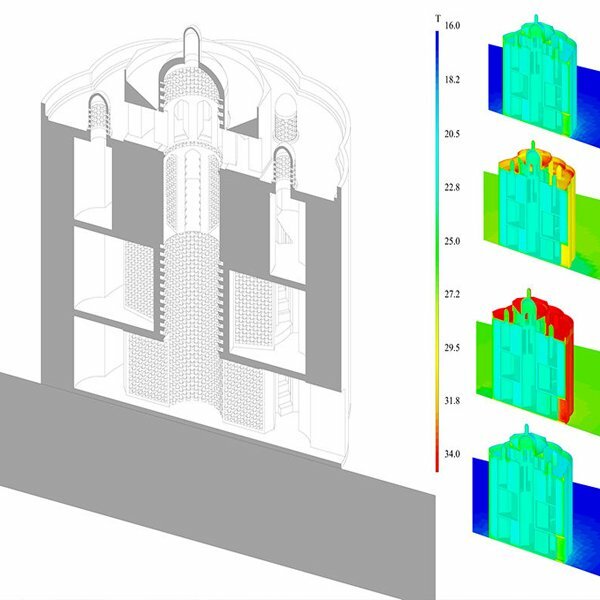 Furthermore, research in a vernacular building of Iran allowed us to use the principle of wind towers and stack effect for natural ventilation. All together the ongoing research enabled us to potentially provide a better-built environment for the inhabitants through innovative spatial conditions and geometries. Our exploration in pneumatics was pursued further with the Mobility of the Line exhibition and the AirBone installation in Graz. 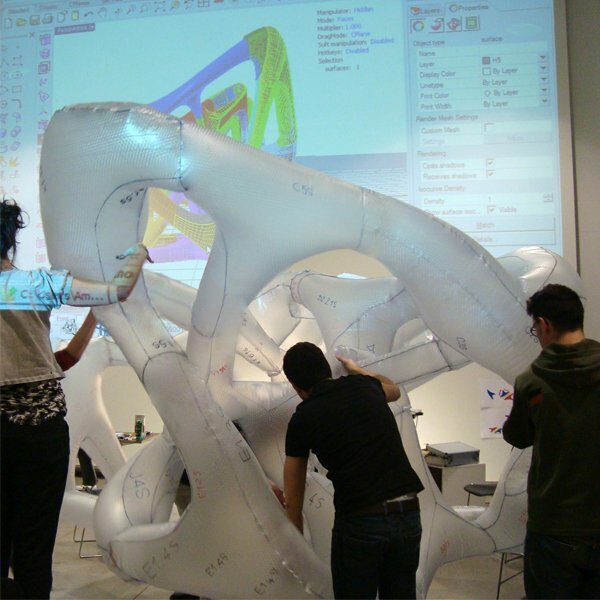 The AirBone installation was formalized through workshops that were attended by students in the Technical University of Graz. It aimed to explore more complex geometrical arrangements and smoother joints to achieve a better structural performance, while obtaining innovative spaces via a performative system. The design process included a high level of computation, material logics, and fabrication. One of the challenges included preparing flattened cutting patterns out of double curved surfaces. This is still an ongoing piece of research, upon which the solution of a few issues is necessary before having a fully operational system. Questions that directly have an impact on the spatial quality and the inhabitant’s comfort level interest us the most. Thus materials, geometry, cultural and environmental studies comprise the most important areas of our research. In order to establish answers to our curiosities, we assess a variety of major fields. This includes one source of our research constituting the analysis of natural systems, focusing on the way in which they grow and adapt. Similarly, our fascination also lies within the exploration of different conditions by which material organizations can significantly affect its geometry and performance. The other source that feeds this topic is vernacular buildings. This is because successful vernacular buildings represent an integration of material, structural and environmental performance, which result in rich spaces that correspond to the inhabitant’s life style. In some cases through the evolution of civilization and having the opportunity to reconstruct these buildings for several hundreds of years, they have achieved stunning spaces, as well as a perfect response to climatic needs. Through careful studies and analysis, we aim to understand the principles of operation under certain climatic conditions and material choices in order to suitably apply them in our projects. In 2007, we began a systematic research into carefully selected historical buildings. In collaboration with the worlds leading engineers we have managed to thoroughly analyze and understand the fundamental environmental principals of numerous historical masterpieces in the Middle East. The result of the research was published in the Architectural Design Journal (AD) entitled IRAN: Past, Present and Future. 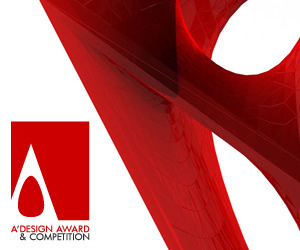 The knowledge attained through these research projects has greatly influenced the design of most of our completed and ongoing projects in the studio, such as Saba Naft and the Benetton competition. For instance, the Benetton complex is a contemporary redevelopment of a central courtyard typology suitable for the project's specific climate. The central courtyard was designed through a three dimensional rotation of a U-shape around the Z-axis, leaving one edge of the building open at the entrance and public level, while creating almost an enclosed central courtyard for climatic purposes. The complex geometrical arrangement was materialized through mathematical research, employing Penrose patterns to cover the doubly curved interior facade via only three different elements. 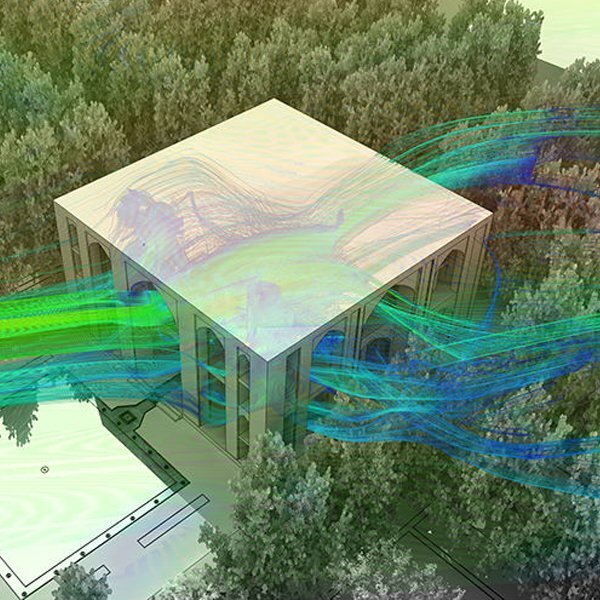 In so doing, environmental knowledge, digital simulation, and mathematical expertise were unavoidable parts of the project. To conclude, we believe that innovation is not produced by accident. It is a product of the reciprocal relationship between learning and implementing. Thus the boundaries between research and practice should be blurred in order to achieve sustained and continuous innovation in the field of design and architecture. 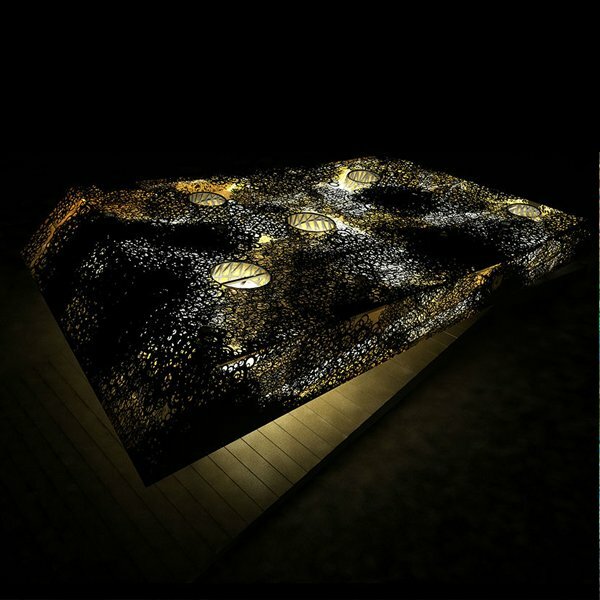 This article was added on Monday, 12th of May, 2014 at 12.53 pm by author studio INTEGRATE Mehran Gharleghi, Amin Sadeghy Tags: studio INTEGRATE, Furniture, Architecture, lighting, FLUX TABLE, Magma bed,deFuse Light, Design, Contemporary Design, Architecture, Contemporary Architecture, Material systems, design by research, limited edition, INTEGRATE, Gemo, deFUSE, Light, MOdern Bed, Contemporary bed, Onyx. Read our copyright policy here. 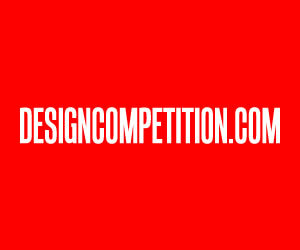 » YOUNG DESIGNERS OR DESIGNERS WITH EXPERIENCE? !